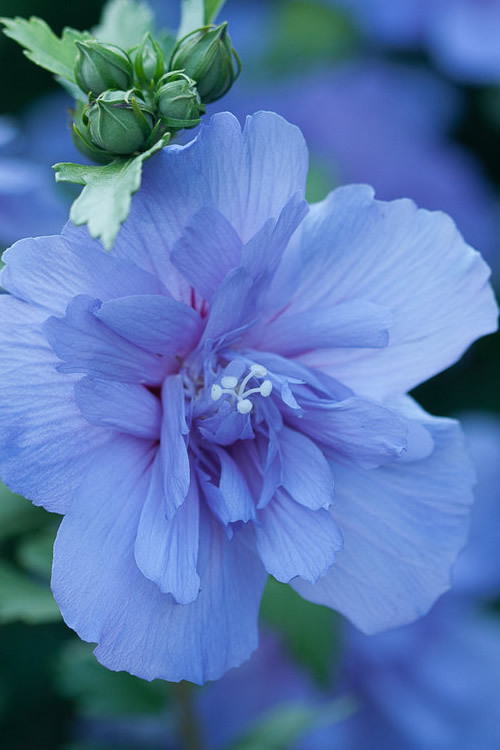 When we need soothing color in the garden during the heat of summer, the Blue Chiffon Rose of Sharon is there to cool things down! 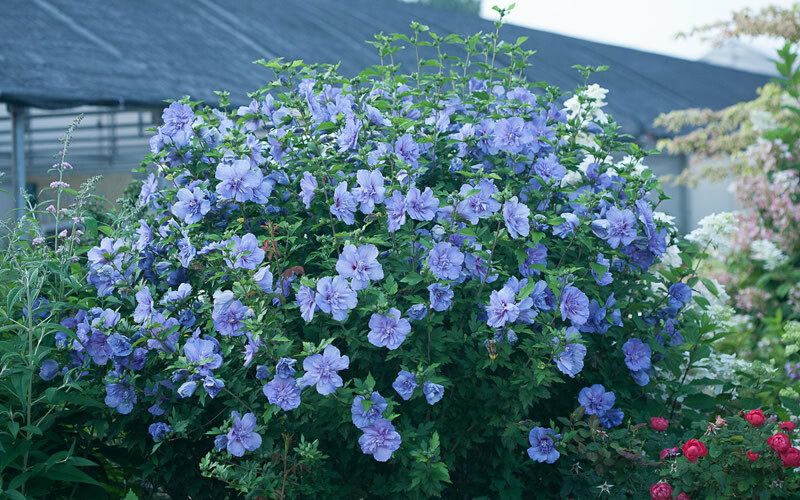 A strong growing Rose of Sharon, aka as Althea or Hibiscus, Blue Chiffon produces an abundance of large and double lavender blue flowers with lacy centers during summer. 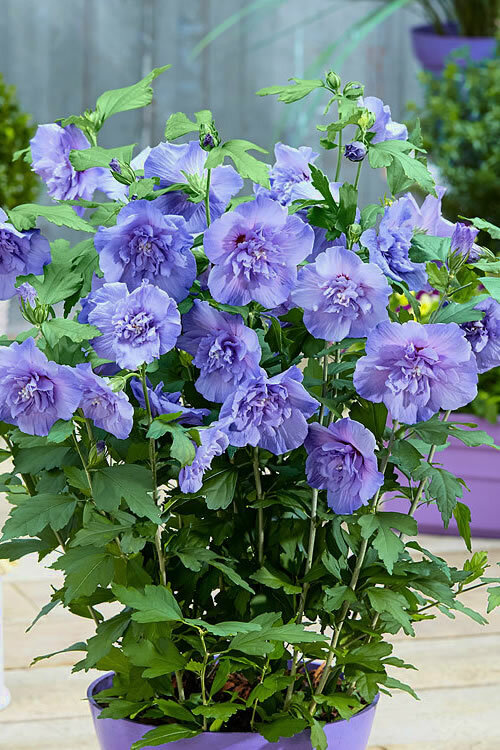 If you love blue flowers, Blue Chiffon Rose of Sharon is sure to please and the hummingbirds and butterflies will thank you for planting this one! 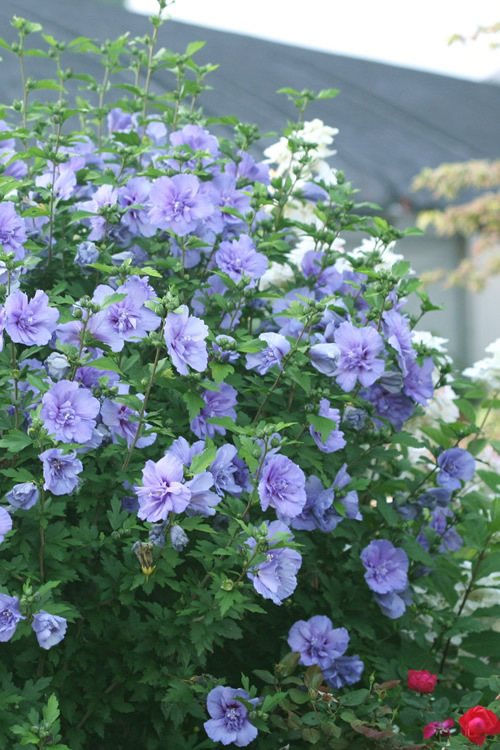 With an upright habit 10 to 12 feet tall and 4 to 6 feet wide, the Blue Chiffon Rose of Sharon is ideal for use as a specimen, in groupings, or as a hedge in sunny landscape borders and home foundation plantings. 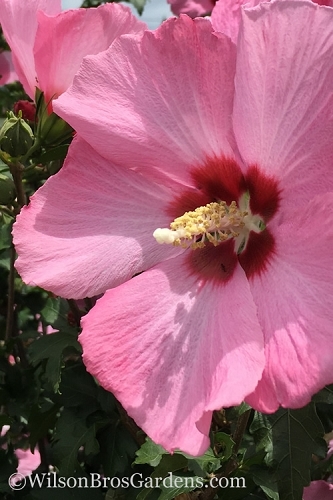 As this rose of sharon grows taller lower branches can be removed to form an attractive tree useful as a stunning focal point specimen in small landscape spaces. 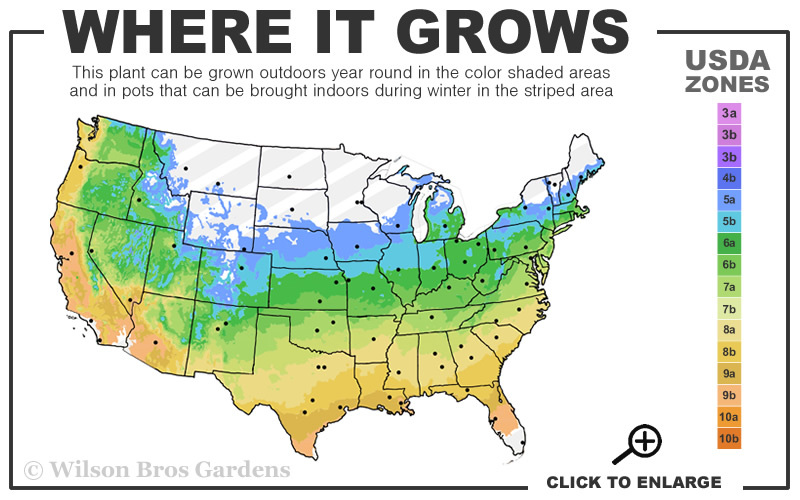 Pruning is best done before new leaves emerge in late winter or early spring. 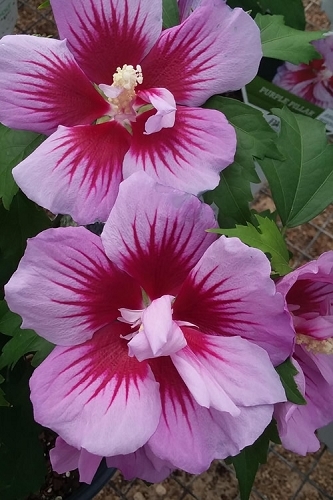 Rose of Sharon are very easy to grow and maintain. 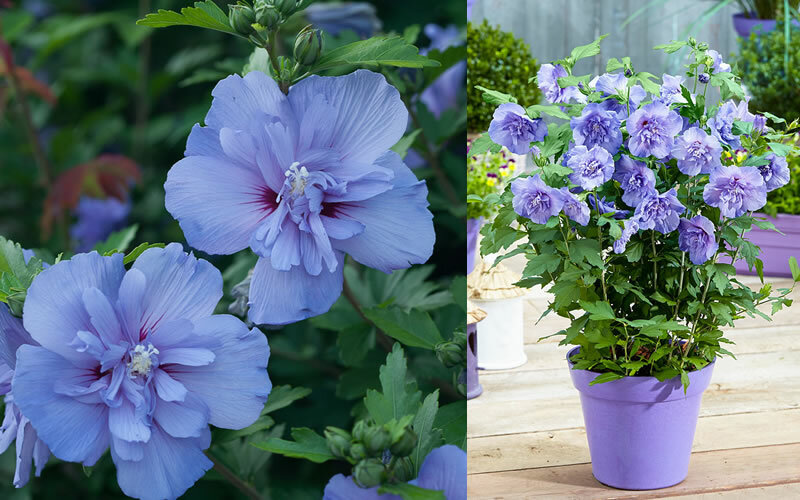 Simply plant them where the sun shines most of the day. 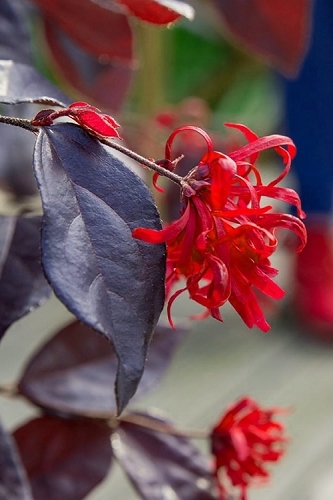 Some light shade is tolerated but too much shade and plants will become leggy and flowering is diminished. 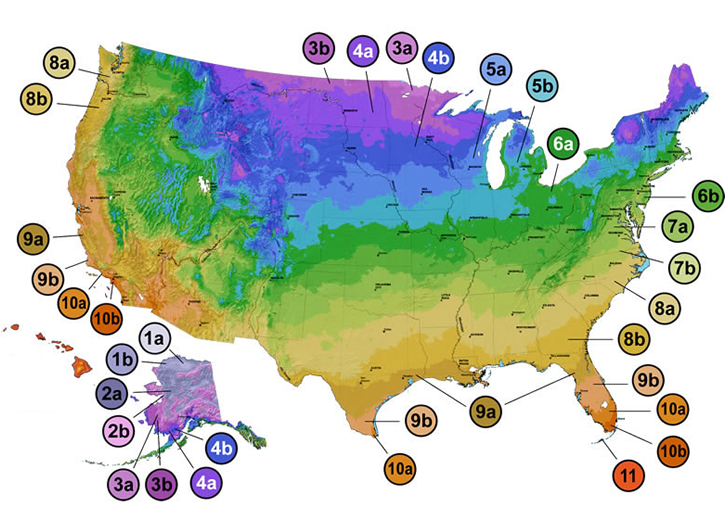 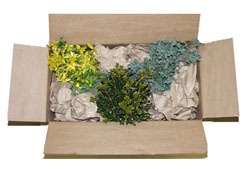 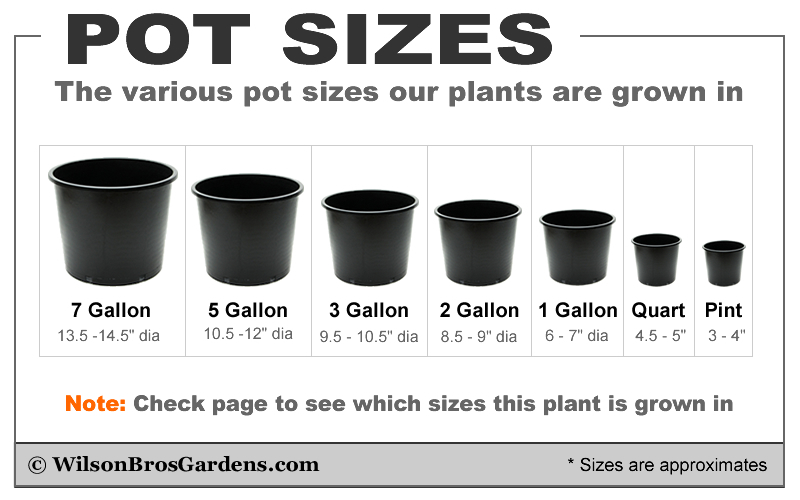 They are not too particular about soil type and very drought tolerant once established. 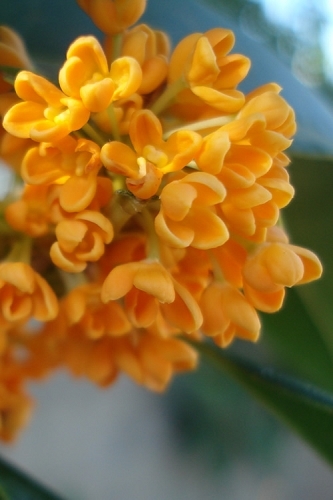 They require little if any pruning, though a stray or broken branch can be removed any time of year.